What if Henry VIII had stopped the execution of Anne Boleyn? The story starts from there, and is based on the research of Sandra Vasoli who has found records that she believes shows that Henry VIII deeply regretted his actions. Tahiti Rae has built the sim that unfolds the story on LEA8: Love, Henry. There are clues to discover around the sim that lead you through the story. If you’ve read my blog before, you’ll know I’m not a fan of hunts. And true to form, I didn’t follow the hunt. But I did pick up the free dress in the landing zone1. But this sim works on another level too. It’s some of the best garden areas I have seen – probably the best since the short-lived Botanique. I’ve just upgraded Firestorm and the new version has reduced texture thrashing from intensely annoying to nothing. Nonetheless, a high density of textures will always cause lag. There was just one area, up by the butcher’s shop, where I found lag to be a problem. Even the very densely planted areas were surprisingly easy on the graphics card. 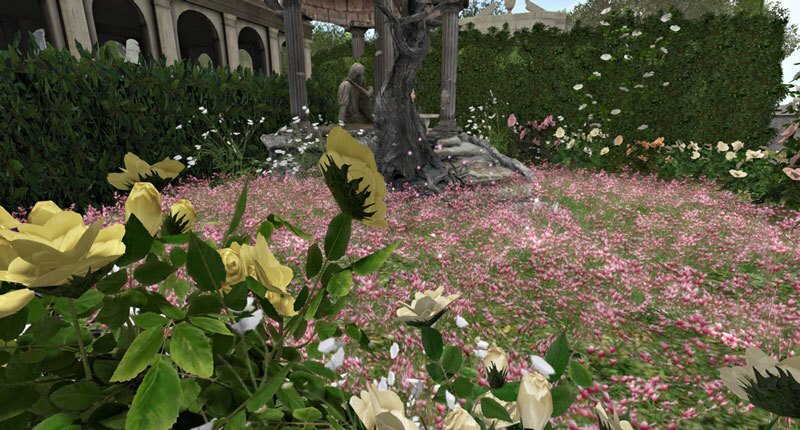 The gardens include a large number of plants and trees from different makers; from the commonplace to the less familiar – Botanical, Kidd, Mesh Plants, Hayabusa Design, 3d trees, Skye, HPMD, which are combined to great effect. But it’s the landscaped areas next to the lakes that are really effective, in particular the curved steps with cascading water. I saw a Victorian couple and a modern American while on the sim, all of whom I derendered. 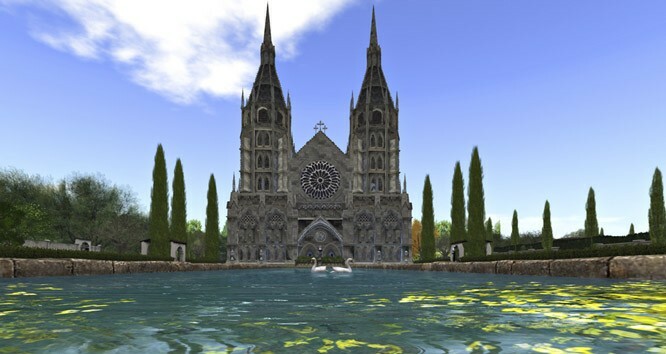 It’s not exactly an effort to go with the illusion in Second Life. Especially when it’s offered. And it’s free. ‘I can’t be bothered’ is neither a political nor an artistic statement.